The UK’s VR industry is expected to grow by 76% to reach £801m by 2021 making it the largest and fastest-growing VR industry of any country in EMEA. 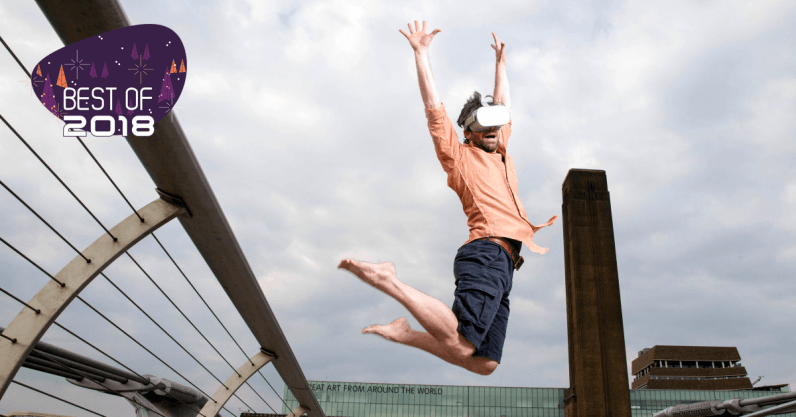 This is why we’re seeing more programmes emerge such as the one spearheaded by Digital Catapult and Arts Council England, which just announced the shortlist that received a total of £350,000 in funding to develop immersive storytelling experiences. These projects have all graduated from the CreativeXR programme, which was created to encourage content makers to explore creative storytelling in immersive mediums such as Augmented, Virtual and Mixed Reality. Designed to raise artistic and technical ambition, the programme has enabled the development of new skills, tools and business opportunities. Teams have been given workshops and marketplace events with industry leaders as well as access to Digital Catapult Immersive Labs in London, Brighton, North East Tees Valley and Belfast. Run by the organisations in collaboration with commercial partners including Google, BBC and Sky, the programme is dedicated to supporting the development of virtual reality (VR) and augmented reality (AR) products and their application within the creative industries. When it launched in October 2017, over 1,000 teams registered their interest, with 250 submitting proposals for the Open Call. This pool was finally narrowed to a group of 20 – no easy task according to Jeremy Silver, CEO of technology innovation centre Digital Catapult. The final five projects will now have the chance to develop those projects further with this funding, making those experiences publicly available. These experiences range from letting you participate in the famous ‘Dambusters’ mission to an interactive theatre journey which puts viewers in the shoes of a father and son coming to terms with the onset of dementia. Fatherland by Limbik, Norwich & Portsmouth: An interactive theatre experience using real-time motion capture and VR technology that brings to life the journey of a son and father coming to terms with dementia and disembodiment in a modern world. Completed in partnership with University of Portsmouth. The UK has a history of supporting budding sectors with such projects and initiatives, and it has proven a highly successful strategy both from a creative perspective and in boosting the Creative Industries, which account for a large proportion of the nation’s GDP. It will be interesting to see if an how other countries such as the US follow suit in fostering innovative immersive content production.